Hi, YABC! 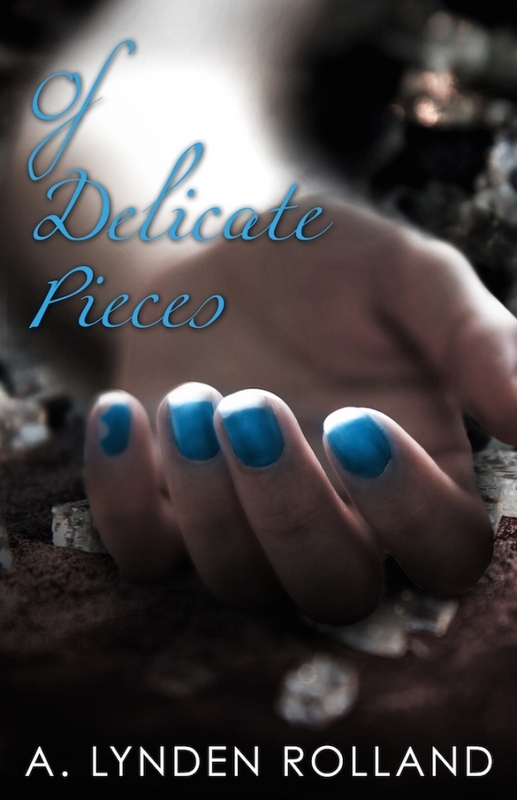 I'm so excited to be here today to reveal the cover for Of Delicate Pieces! I've waited months to show off this little beauty- and now it's happening right before the release date next month! Of Breakable Things, the first book in this series, was about the life and death of a broken girl, and the cover represented the concept perfectly. I wasn't sure if the team over at Month9Books could pull it off again, but they did! Of Delicate Pieces delves into the more psychedelic aspects of an afterworld the mind can manipulate, but it also explains how Alex's family history has influenced the world of the dead (in ways she never expected). The pieces she needs to put together have so much to do with her former life and her hometown, and so I was thrilled to see some physical part of Alex on the cover. I hope you like it, too!! Settling into her second year of death, Alex is ready to exercise a limitless mind and to explore an afterworld that changes each day, but she still isn’t resting in peace. The ‘gifted’ are humans who see spirits and have the same extraordinary mental powers, although they aren’t considered equals. Centuries ago, Alex’s family led the movement to keep the living and dead separated, but the gifted believe Alex is a reincarnation of their slain civil leader. When they begin to break down the barriers that protect the city, the afterworld becomes dangerous and vulnerable to exposure. The living and dead both want to use Alex for their own gain, but what they don’t realize is that neither side will want her when they find out who she really is. In the afterworld, nothing stays buried for long. A. Lynden Rolland was born and raised in Annapolis, MD, a town obsessed with boats, booze, and blue crabs. As a child she spent her free time writing dramatic stories about tragic characters in a weathered notebook she still keeps. 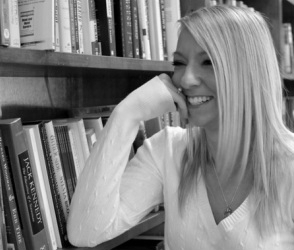 She's a former high school English teacher and enjoys visiting classrooms to discuss reading, writing, and publishing. Two additional winners will each receive their choice of a signed paperback, bookmark, and button. Love the cover especially the blue nails and the synopsis sounds totally intriguing! So gorgeous! And great symbolism! Gorgeous cover! Synopsis sounds amazing! Can't wait to read more about Alex! I love it when a character's story gets continued. Loved the first one! Can't wait to read more about Alex! I love it when a character's story gets continued. :D Loved the first one! I absolutely adored Of Breakable Things, and am chomping at the bit to read this sequel. I love the blue accents on both books. I hope they will continue this theme on the next one. Thank-you for this stellar giveaway. The cover is a little bit creepy and that totally fits with the synopsis. Sounds great!